This is, no doubt, the most popular of all the Psalms. Even non-Christians have found this Psalm comforting and encouraging in times of difficulties. 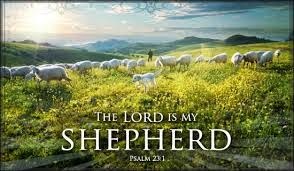 The Lord, the Shepherd in this Psalm, comforts us by providing for us; giving us rest; leading us in the right direction; renewing and restoring our strength; guiding and guarding us; anointing us with fresh oil, and showing us the full extent of His love. I personally think that this is an all-purpose Psalm. It provides the kind of comfort anyone may need in any circumstance. The word ‘comfort’ in Latin means ‘to give strength.’ Therefore, the Lord, our Shepherd wants to equip us with both physical and spiritual stamina to cope with the pressure of life. It is comforting to know that we are not alone in our valleys; He is there with us. 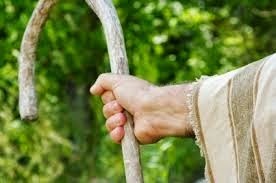 It is equally important to take note of the instruments by which God gives us comfort: ‘Your rod and Your staff.’ He uses the rod and staff of His word to discipline and to direct us. Do not rebel when He sets some boundaries for you, it is for your own good. He is with you wherever you go today. • Birthday Blessing: I will go before you and will level the mountains; I will break down gates of bronze and cut through bars of iron. Isaiah 45:2. 1. 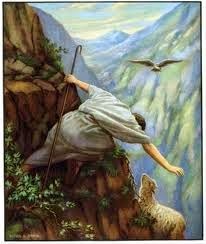 O Lord, my God; Be my Shepherd , through the days of my life in the name of Jesus. 2. Through the days of my life, I shall not lack any good thing in the name of Jesus. 3. Lord Jesus , Be my supplier in every area of my life, In the name of Jesus. 4. I decree into my life; great abundance shall overshadow my life in the name of Jesus. 5. The shadow of death shall not swallow me and my family in the name of Jesus. 6. Father Lord, comfort me with your rod and staff, in the name of Jesus. 7. Father lord, anoint my head and let my cup run over, in the name of Jesus. 8. Lord Jesus, your goodness and mercy shall never cease in my life and my family in the name of Jesus. 9. Lord Jesus, give me the grace to remain in your presence, all the days of my life, in the name of Jesus. 10. In this new month of completion, o lord; complete your good works in every area of my life, in the name of Jesus.